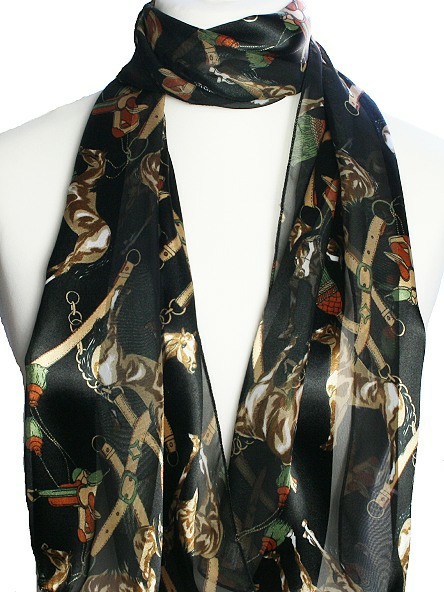 Nice scarf for horse lovers. Straight scarf. A lovely equestrian horse scarf with cantering and galloping horses design on a pink mottled background. A lovely equestrian horse scarf with cantering and galloping horses design on a grey mottled background. An attractive horse cushion with an equestrian picture showing black and bay horses in a friendly greeting. A wonderful good sized cushion for any chair in the house.